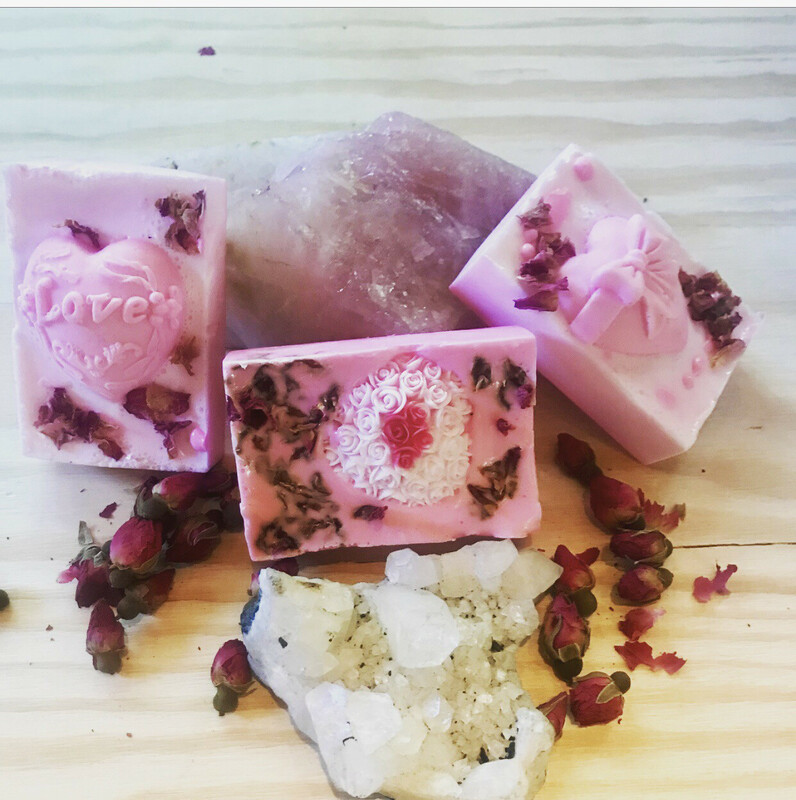 These luxury soaps were made with a creamy coconut milk base and infused with coconut cream and rose essential oils and topped with fresh rose petals. All of our soaps are handmade using all organic ingredients. Each Soap is made with love and blessed with the highest intentions of joy and healing. These soaps are perfect for the bath and body and carry a relaxing aroma that will leave your skin smelling fresh and luxurious.